Born in St Paul, Minnesota in 1930, Flip Schulke spent the majority of his career as a freelance photographer. After running away from home at the age of 15, Schulke soon found that he could help support himself by taking pictures-and he never looked back. He is celebrated for his iconic images of Elvis Presley, Muhammad Ali, Martin Luther King Jr., Fidel Castro, John F. Kennedy, and the early astronauts of the American space program. He pioneered underwater photography and dived with Jacques Cousteau. During the civil rights movement of the 1960s, Schulke's images stunned American magazine readers, helping to change public opinion and influence the course of history. He took pictures for some sixty years, earning national and international accolades as a photojournalist. 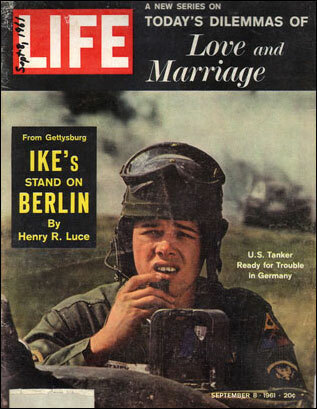 He remained an active photojournalist until his death on May 15, 2008, at age 77. Recognition for Schulke's work includes: 1995, the Crystal Eagle Award for Impact in Photojournalism, from the National Press Photographer Association; 1986, First Annual New York State Martin Luther King, Jr. Medal of Freedom; 1983, Golden Trident, from the Government of Italy for his accomplishments in underwater photography; and 1967, Underwater Photographer of the Year-USA, from the International Underwater film and photography competition, Santa Monica, California. "And he said to me, right back, 'Oh, I've always done this. An old trainer up in Louisville told me that if I practice in the pool, the water resistance acts just like a weight.' It all sounded plausible to me. 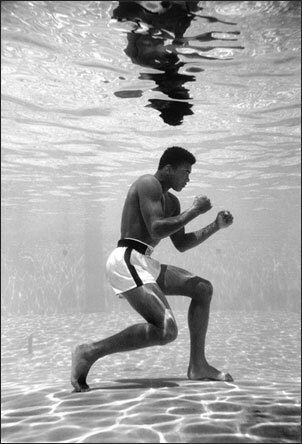 "When I called the editor at Sports Illustrated, he thought I was crazy for taking pictures of a boxer in a swimming pool. So I called Life magazine, and they liked the idea. 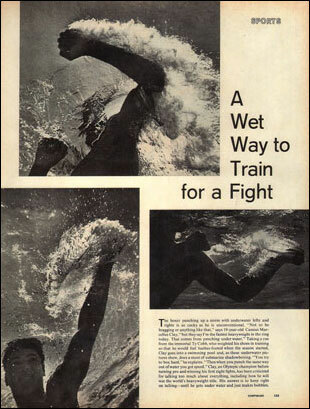 In those days, Life loved to beat out its sister publication on a story, so I went back to take pictures in the pool. 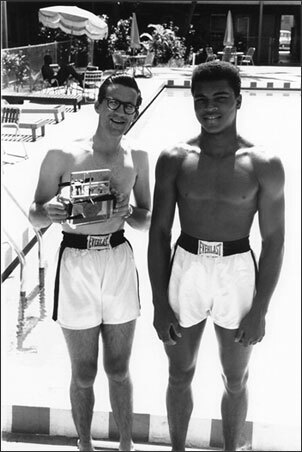 "I had to wear a pair of his boxing shorts because I had forgotten my swimming trunks that day. I put on my scuba gear and got several shots of him practicing different punches in the water. Then I turned around, and there he was, standing on the bottom of the pool. I mean, that's very hard to do, and he's in a perfect boxing pose. So I swam over real quick and I got about six pictures of him. He was holding his breath all this time and not making any movement. The only regret I have is, when Life ran the story, they didn't select that picture. More people have requested that picture worldwide than any single picture I ever shot. "Three years later, after Cassius Clay won the heavyweight boxing championship and changed his name to Muhammad Ali, I went back to photograph him again. We were looking through a scrapbook, and when he came across my underwater pictures he winked at me. I realized he had taken me. I learned later he and his trainer had come up with the whole story on their own. He didn't even know how to swim. He fooled me, he fooled a Life reporter, he fooled everybody-and it made fantastic pictures. It showed me what a brilliant guy he was, even at 19. He thought up an idea I would swallow. But I'm really proud of the whole thing." Flip Schulke's photographs were published in the September 1961 issue of Life magazine. The original story can be viewed by selecting the images below.